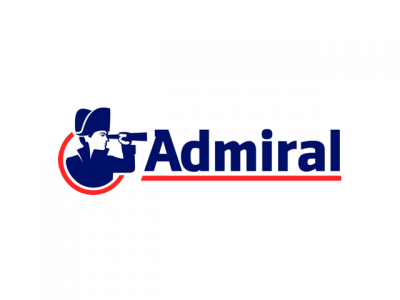 The Admiral Group PLC sells private car insurance and related ancillary products to individuals throughout the UK. It does this through six brands namely (1) Admiral, which targets those who traditionally pay higher than average premiums, including drivers under-35 and those living in big cities; (2) Bell which targets drivers with zero or low no claims bonus; (3) Diamond created in 1997 for women drivers; (4) elephant.co.uk, was the UK’s first wholly online car insurance service; (5) Gladiator, the Group’s commercial vehicle insurance intermediary and (6) Confused.com, the UK’s first price comparison website. The company currently has over 3 million customers, which accounts for around 11% of the UK market. Admiral Group also has independently run operations in Europe. Balumba.es in Spain was the Group's first European company and launched in November 2006. This was followed by Conte.it (Italy) in May 2008, Rastreator (Spain) in March 2009, LeLynx.fr and L’Olivier (France) in 2010. In October 2009, Admiral launched Elephant.com in the USA. First is a tight control of expense. As a business, the Admiral Group is extremely cost efficient. It doesn’t have expensive offices, doesn’t waste money and accounts for every pound it spends. And this attitude is common throughout everyone who works for Admiral. Its expense ratio is one of the lowest in the insurance sector and combined with the loss ratio (the amount it pays out in claims) is the best of any major UK insurer. Secondly, the culture: Admiral believes that its culture is unique, there are four cornerstones to it: Equality – Admiral has a very flat structure, most managers work on the floor, there are no company cars, everyone has the same chair; Reward and recognition – as well as the share scheme which recognises the contribution all staff make to the company’s success, Admiral likes to celebrate achievement and long service of its staff; communication – Admiral puts a lot of emphasis in providing information through as many channels as possible and always make it two-way; Fun – everyone at Admiral likes to have fun, both in work and outside work and the firm’s philosophy is that people who enjoy what they do, do it better. Finally, Admiral focuses on what it knows and would rather be experts in one field rather than spread itself thinly selling different products and providing different services. It knows car insurance and is very good at it.